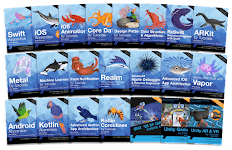 With such a complex interplay between components of an app and several thousand lines of source code spread across several hundred classes, how do we know for certain that the code we have written does what we think it does? How do we know that our code can handle edge scenarios? And finally, how do we know that we have built the right software that meets business requirements? The answer to the first two questions is addressed by the practice of unit testing, and Behavior-Driven Development (BDD) addresses the answer to the question of building the right software in the first place. BDD is covered in Chapter 10. In this chapter and the next one you will learn about unit testing, and the related discipline of Test-Driven Development (TDD). This section examines some of the common terminology associated with Test-Driven Development. This is usually a piece of code, or unit of functionality you wish to test. In most situations the subject under test is usually a single method of a Swift class. However, you may encounter scenarios where a small group of methods or classes are being tested together. In such cases, the subject under test usually represents a complete functionality or user journey. The subject under test is sometimes also known as the system under test. This is the piece of code that tests the subject under test. A unit test is also known as a “test case.” Unit tests work by calling the subject under test under controlled conditions, and verifying some kind of expected behavior. It is common for an application to have hundreds of unit tests with each test testing a very small piece of the functionality. Individual unit tests are implemented as independent methods of a Swift class that derives from an XCTestCase. 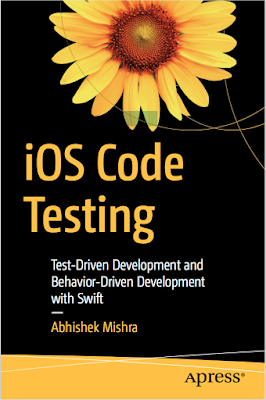 This Swift class is also commonly referred to as a test class. // insert test code here. ■ Note the code that forms these unit tests is not part of the code base that will ship to the clients. unit tests are typically executed every time a developer attempts to create a build, with the build being created only if all tests pass. The method signature of a unit test is similar to that of a method that takes no arguments and does not return a value. However, the name of a unit test method always begins with the keyword “test.” There are usually strict naming conventions followed for unit test methods; these will be discussed in the next lesson. A state verification test is a type of unit test that calls methods on an object (subject under test) and verifies the state of the object after calling the method. Such tests do not care about implementation detail and will continue to pass even if the internal workings of the methods being tested are changed in the future. State verification tests usually rely on assertions to carry out the actual verification. Assertions are covered later in this lesson. An interaction test is a type of unit test that attempts to verify a specific sequence of interactions between objects when a method is called. Such tests are also known as behavior verification tests. Interaction tests do not necessarily have to involve multiple objects. You could also use an interaction test to verify the sequence of calls to methods of the same object. test is still a single class, and not the entire group of classes. One typically instantiates the subject under test and uses special mock or stub versions of all the other objects involved in the scope of the interaction test. Mock and stub objects are covered later in this lesson. ■ Note since interaction tests verify the behavior of a group of classes, they are inherently more fragile than state verification tests. For instance, a change in the order in which methods are called could easily break an interaction test. one way to make interaction tests less brittle is by reducing the number of classes covered by the scope of the test.